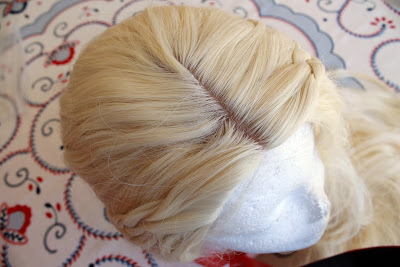 Today I’ll review another wig from Wig-supplier!! 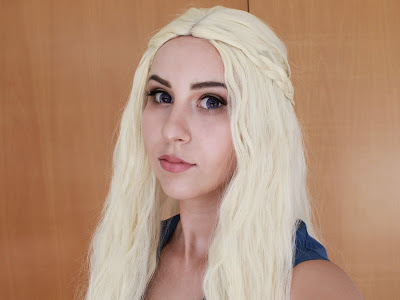 This wig is for Daenerys from Game of Thrones and it comes previously styled! As you can see on the website photo, it’s parted in the side, but in the photos I took the parting is in the middle. This is just because I put it on wrong, really. I checked and it is parted on the side! 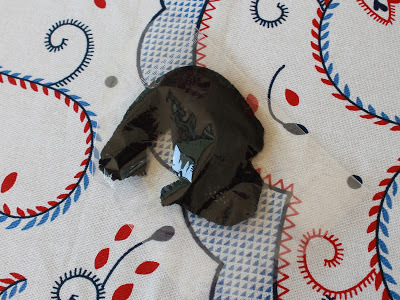 I forgot to take a picture of the package but you can see that in the video! It came safely packed and included a wig cap! he parting looks really well done and makes it very natural! I think the color is beautiful and super accurate to the character. 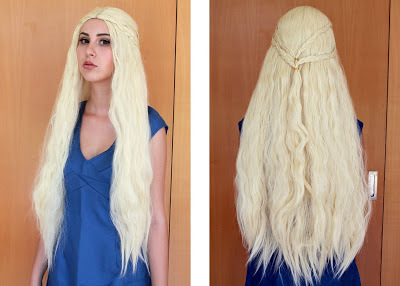 It’s not too light and not too blond-ish either, so it’s perfect for Daenerys! You can use it for other characters as well, I found the color beautiful! It is a bit tight and I wish it was bigger inside but I have a big head, really. It gets a bit warm too, because there’s a lot of hair, which makes it heavy as well! It’s beautifully styled too, so it could be worn right away! 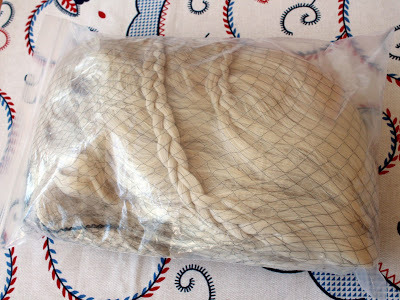 The fiber is truly beautiful and, although it tangles quite easily – which is something to look out for – there’s so much of it! It’s the wig with the most hair I’ve gotten from L’email and the effect is beautiful! I think this is the best feature of this wig! Overall, I’m in love with this wig! 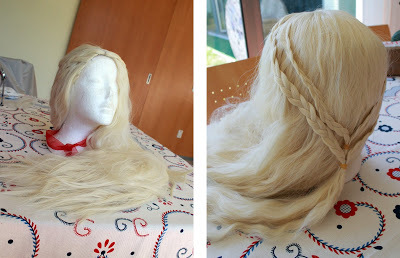 It’s truly perfect for Daenerys and I can’t wait to wear it with her cosplay! 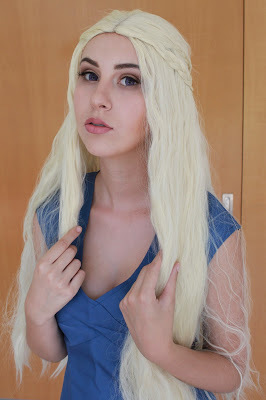 I would definitely recommend Rolecosplay and L’email wig! Their wigs are amazing quality for great prices. Also, you can now use my code TITANIA to save 10% off your order! 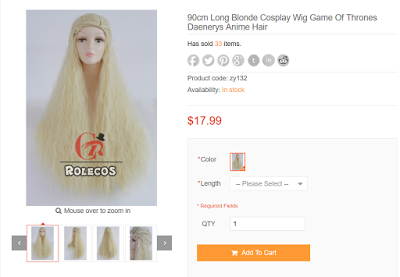 You can get this wig here! This entry was posted in Wigs and tagged anime cosplay, anime cosplay wig, best cosplay wigs, cheap cosplay wigs, cheap wigs, cosplay ideas, cosplay wigs, fashion wig, fashion wig store, fashion wigs, L-email wig review, L-email wigs, long wave wigs, long wigs, synthetic fashion wigs, wholesale wigs, wig maintenance and care, wig store, wigs.